The Blake Society has announced its inaugural Tithe Grant for 2010. The aim of the grant, which will become an annual event, is “to support individuals or groups carrying on Blake’s energy in the twenty-first century”. The award for 2010 will be £313.10. Those eligible include anyone involved in a project that directly involves Blake or is “in the spirit of Blake’s life and art”. As such, it is designed to support arts, social services, research or education, and is very open in terms of the type of projects that will be considered. 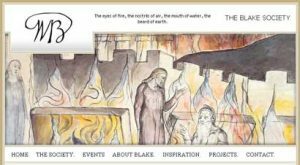 The Society is looking for new ways of carrying on Blake’s ideas and work in the 21st century, and application is via a form available on the Society web site: http://www.blakesociety.org/250-projects/blake-society-tithe-grant-application-form/. Applications must be submitted by June 30, 2010.